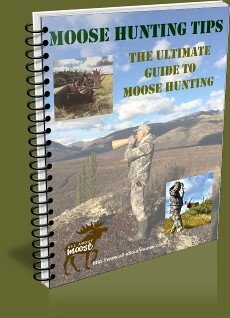 Moose Hunting Guide • Choosing the Best One. Sure, let’s take a look at how! 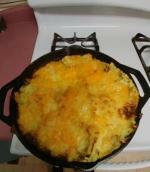 It costs a lot of money to hire the services of a top notch Moose Hunting Guide. To get the most out of a guided or outfitted hunting trip, (which for the most of us would be a trip of a lifetime) you have to have enough information before you make your choice. If you have never used a moose hunting guide or outfitter before, it is up to you to do your research and check them out, you will want the best value that is available. Once you arrive at moose camp and you discover the camp is overcrowded with hunters or the success rate is low or camp food is poor or... Well, it is too late then! Face it, if you have a really bad experience you will, no doubt never hire the services of a moose hunting guide again. Furthermore you would likely discourage anyone else from doing the same. It is so much better to arrive at camp and find the other hunters buzzing with excitement, eager to share with you the results of their own Hunts. They talk of Giant Moose, Awesome Guides, Great Food and Comfortable Quarters. You don’t even notice the rain dripping from your nose, because to are so taken by these greetings. We all want to get the most distance from our hard earned dollars, so we should set a criteria that moose guides should follow. I doubt that we can set a standard for all moose hunting guides to follow, but I am sure we can name the things that we expect from a guide then all we need to do is find out if a particular guide has or does the things we want. 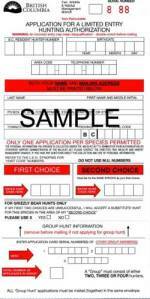 Use this list of questions to interview your potential moose hunting guide or outfitter. Make sure that the money you invest in this trip is well worth it. Check References, any reputable Guide will have a long list of satisfied customers that would under normal circumstances be more than willing to share the experiences they had with their guide. Most satisfied customers of guides talk of their guide as though it was ownership, because it was such a personal experience. Get that list and contact the members of it. Ask as many questions as you can think of. Be cautious, remember, you do not know any of these people and they could be fake referrals. Do not rely on just the Guides reference list, check on line and see if you can find articles (reviews) there. A very reliable source might be a reference from someone you know, as is likely the straight goods and could be trusted. How long has the Moose Hunting Guide been in Business? Good to know, has he just finished his training as a guide, or has he been at this trade for years. A well seasoned Guide will have the knowledge and skill to deliver a memorable trip. What is the Success Rate for the species that you are hunting and more specifically what is the success rate at the time when you are planning to hunt? This is important information; just because the proposed Guide has a high success rate number to show you, it does you no good if the high rate was for the three weeks prior to your arrival. You need to know what the rate is when you are there!! Who will be your Guide? For instance, if you were booking with World renown Guide, Jim Shockey, unless you are paying the extra premium to be guided by Jim you will be guided by one of his guides that works for him. In this case that would be OK because all of Jim’s Guides a very professional, and must keep the standard. Check it out in advance. Are you getting the services of an Expert or a Novice guide! What about the area where your guide operates? Has he hunted moose in this this area for a long time, does he know the area well. What is the terrain like? Is it flat and open or mountainous and steep? How good of shape must you, the hunter be in? Will you be expected to carry a pack? Walk for hours each day? Does your guide hunt on horseback, use ATV’s or out of a boat? How many other Hunters are in the same camp as you? This may seem like a redundant question, and it may be. If I were asking the questions and paying the money, I would want to know. I do not want to end up in a huge camp with many moose Hunters. I have heard of such camps, and that may be fine if you like to hang out with a bunch of guys (or gals) at the end of the day, but you must also consider this; all of the hunters will leave camp at approximately the same time every day, if there are a lot of hunters you will spend more time traveling to your hunt area than you will hunting. How much will the trip Cost? ($$$$$.$$) You need to know how much the final bill will be! Are there extra costs involved? For example, a fly in moose camp you may be required to pay a surcharge just to get your antlers out? 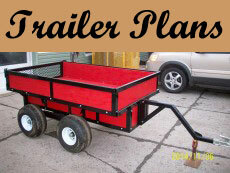 What equipment are you expected to bring? Your guide should be able to provide you with a suitable list of required equipment to suit the needs of your stay. He may even have a list of suppliers where you can purchase moose hunting gear and possibly have details right down to specific manufactures of the gear to buy. 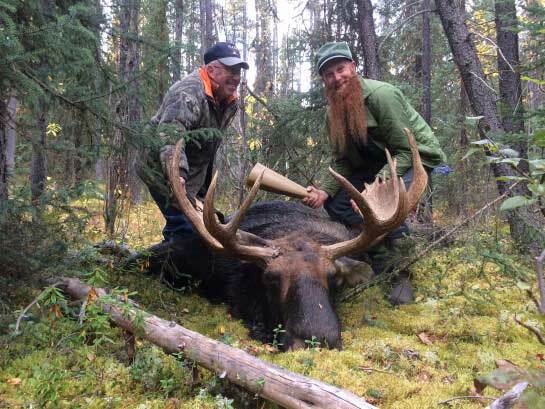 Some moose hunting guides are particular about the gear their clients use. They have, through years of experience short listed exact goods that work well under certain circumstances, which will enhance the guest experience. Who supplies the food? Can you imagine getting to a fly in camp only to discover that you were required to bring your own food. Don’t laugh, it has happened before and it will happen again.....YOU Need to know these things in advance! Don’t forget your Toothbrush! It is easy to get caught up in the planning of a trip like this. It is just as easy to forget the little details like: a toothbrush, toothpaste, how about those earplugs for shooting practice at camp before you go on a hunt? What about a sleeping bag, inflatable mattress/pillow? Don’t overlook those seemingly minor details. 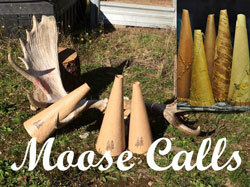 Your moose hunting guide may have some of these little items but don’t rely on it. There will be no corner store to run to get those missing items. If you prepare and get your questions answered long before you go, you will have time to plan for that trip, The Trip of a Lifetime. As an alternative if you wanted someone else to do it all for you, try the prime hunting grounds of northern BC where there are offers of many species to hunt. Pink Mountain Outfitters specialize in moose and monster black bear hunts, but can also deliver: wolf, mule deer, cougar, lynx and mountain goat hunts. They have an extremely high success rate which keeps their clients coming back again and again. Alaska moose hunting: A unique opportunity now exists for women wishing to hunt Alaska. Women Hunting Alaska are dedicated to helping women find the perfect adventure in Alaska. If you or someone you know has a dream of hunting Alaska, allow Julia to arrange a hunt for you. After hunting your Moose, why not hunt Africa? Shakari Connection goes into the nuts and bolts of planning an African hunt from how to choose a company and PH to how to budget for a hunt and much more. Above all... be safe and have a great time. P.S. Take lots of pictures and come back here, post them and share your Moose Hunting Stories and tell us about your Moose Hunting Guide.